NEW ALBUM “the way through” coming in april! Germany’s melodic prog band Cyril are to release their third studio album on the 1st April 2019. Following on from Gone Through Years (2013) and Paralyzed (2016), the new album, with story and lyrics written by Guy Manning (Damanek, UPF, ex-Tangent) will be titled The Way Through. The album is about a patient in intensive care caught between life and death. The album offers the complex melodies and progressive instrumental arrangements for which they have become known and has been produced and composed by Marek Arnold (keys/sax, ssttgd, Toxic Smile, Flaming Row, ex-Star Combo Meissen), with Denis Strassburg (bass) and Manuel Schmid (voc/keys, Star Combo Meissen). The CD will be released by Progressive Promotion Records and will again welcome Larry B. (voc, Toxic Smile), Ralf Dietsch (gtr), Clemens Litschko (drums) and other guests. Martin Schnella (Flaming Row) completed the final mix. 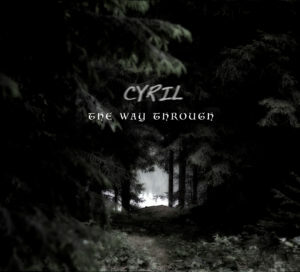 CYRIL III – Drumrecordings are done! Work on 3rd album is in progress – drumrecordings at Sonic Studio are done now. We are looking forward to next steps…. stay tuned!